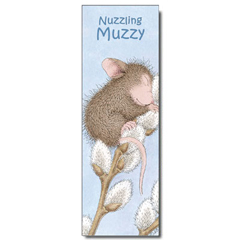 We're pleased to introduce our newest laminated bookmarks. 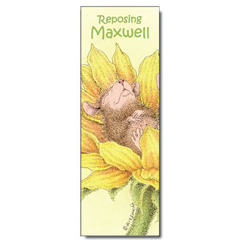 Each colorful bookmark measure 2 1/8" x 6 1/2" and is printed on our textured cream-colored recycled paper and then laminated for safe keeping. 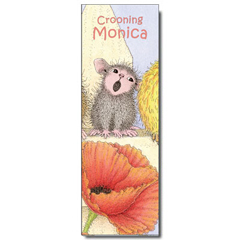 The set below contains: 1 each of 5 different laminated Book Marks. 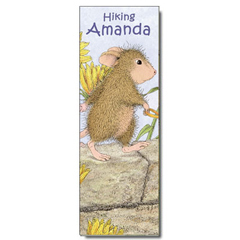 & 1 Bonus Mouse Mark FREE! 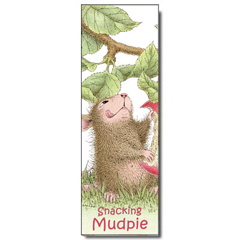 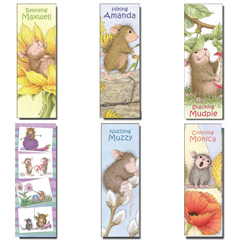 See another assortment of laminated bookmarks.